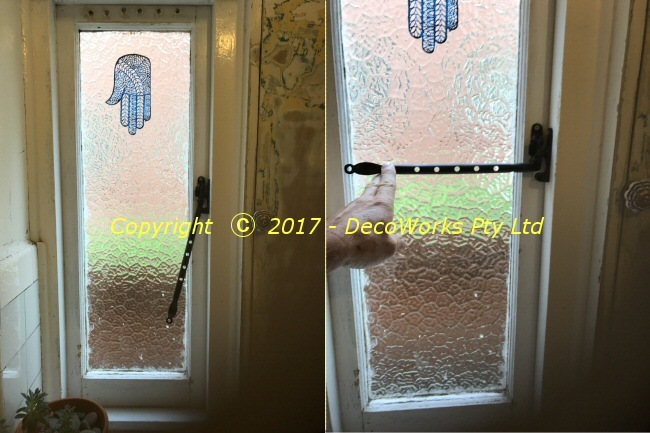 Many older style homes and units have outward opening bathroom windows which makes it difficult to install suitable security bars. 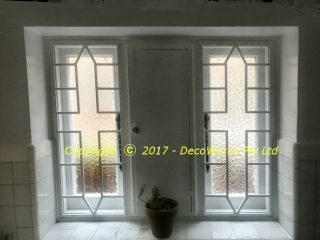 The solution we offered a client was to install them on the inside of the bathroom windows. Interior security bar installations present their own set of difficulties not least of which is being able to open and close the windows which are now behind the bars. 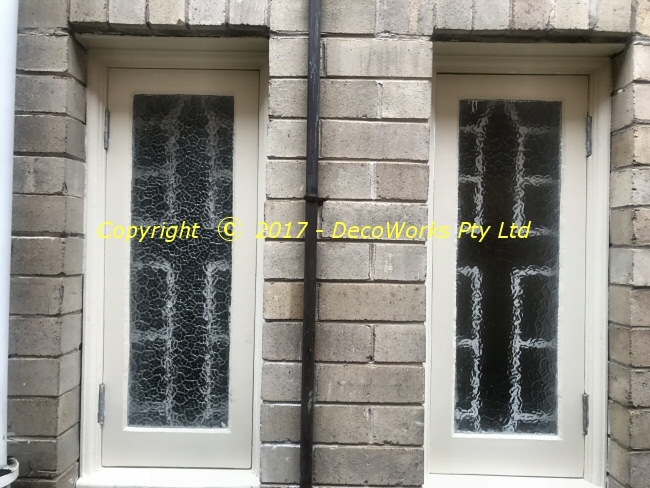 These particular windows have a long arm which needed to be able to swing up from the locked position and then pivot out to push the window open. This was achieved by using a cross motif in the design which allows the opening arm to be manipulated through the open areas of the bars. 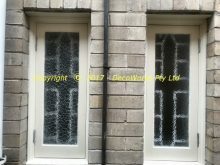 This entry was posted in Designs, Projects and tagged security, window. Bookmark the permalink.